This subtle drama is disquieting in its ability to cut right to the core of human emotions of loneliness and futility. The film is tinged with the Coen Brothers' trademark wit and zaniness, but it's a quieter and less cartoony film for them that rides its cast's brave and involving performance. I was a little disappointed with this one. I mean, movies with this level of melancholy are either really great or I just don't get them. I just didn't get this movie. There were, however, a few good parts. Sy Ableman: "I'm a serious man, Larry." The story is about a Midwestern physics teacher, watches his life unravel over multiple sudden incidents. Though seeking meaning and answers amidst his turmoils, he seems to keep sinking. 'A Serious Man' has to be the Coen Brothers most unappreciated movie when it comes to naming the Coen Brothers best movies, and yes there's plenty of outstanding movies from them, but lets not overlook movies such as this. 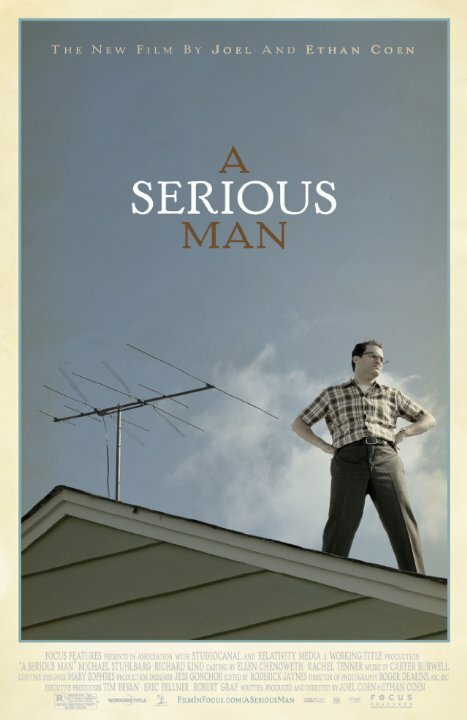 The Coen Brothers have yet to disappoint me, even through I haven't seen every movie from them, but the ones I have watched I've given glowing reviews and so is this one, because 'A Serious Man' is a superb and wonderful piece of film making that I can't believe it took me this long to watch it. A put-upon Jewish suburbanite suffers the trials and indignities of everyday life in the 1960s. I'm a big fan of the Coen brothers and I'm convinced that this, their latest straight comedy, is a quality film. The problem is that its audience is a very narrow one; namely Jewish Americans. Being as Goy as they come, the cultural references flew straight over my head and I found the constant religious references utterly baffling. Michael Stuhlbarg makes a very sympathetic central character and the gentle humour is always amusing. When I actually understood it. I'm sure the sly and witty observations on the modern Jewish condition are hilarious to the intended demographic but if like me you're not part of it, I suspect you'll find it equally bemusing. No posts have been made on this movie yet. Be the first to start talking about A Serious Man!